On entering the Openvue welcome region on the OpenSimulator-based Openvue grid today the galleria had “exploded”. 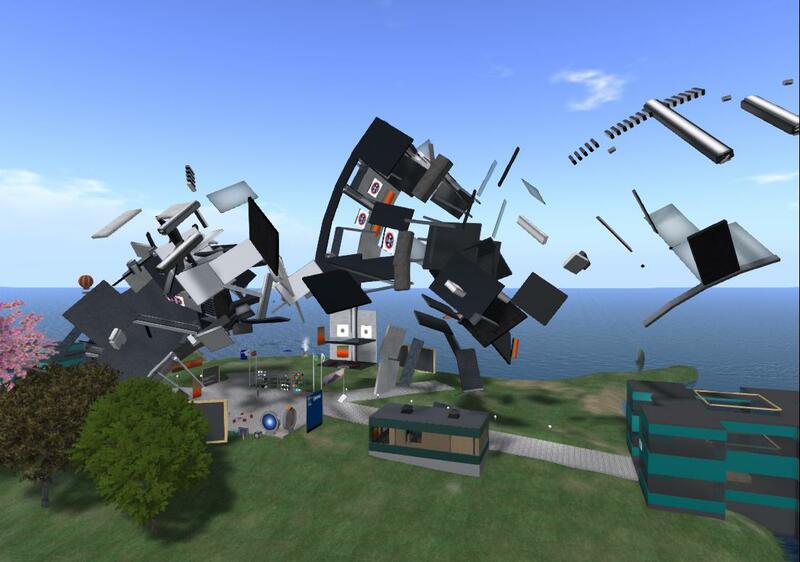 All the prims were rotated and exploded apart. The Galleria is in three main sections with linked prims in each, and all three parts were affected. But no other prims or objects on the region seemed to be faulty. Some fault with linked prims must have occurred. Luckily a backup of the region as an OpenSim Archive (OSR) and a full Openvue grid MySQL data base backup were both available for the prior 24 hours before the problem was spotted, and hence that could be used in this instance for a quick fix rather than repairing the exploded objects or rezzing a new galleria. This entry was posted in OpenSim and tagged OpenSim, Openvue. Bookmark the permalink.